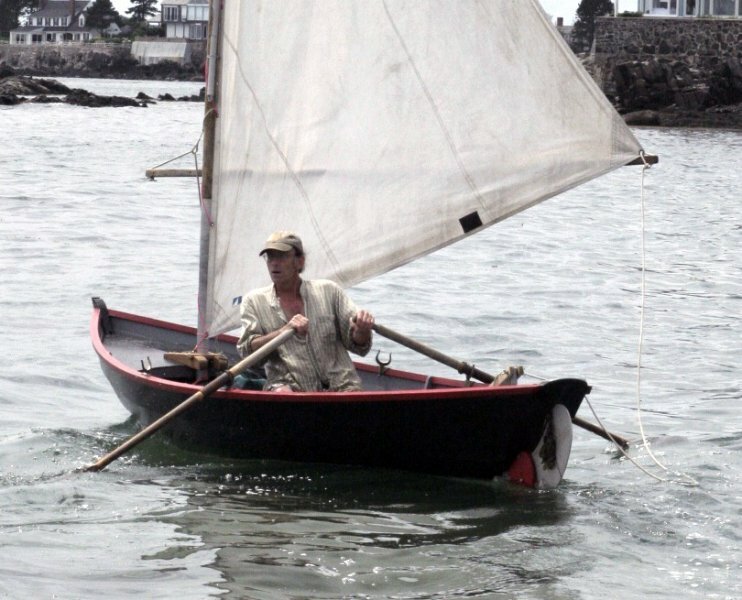 Gus Hedden took twice as much time as he expected to build this 15′8″ x 4′5″ Stickleback Dory designed by Iain Oughtred. 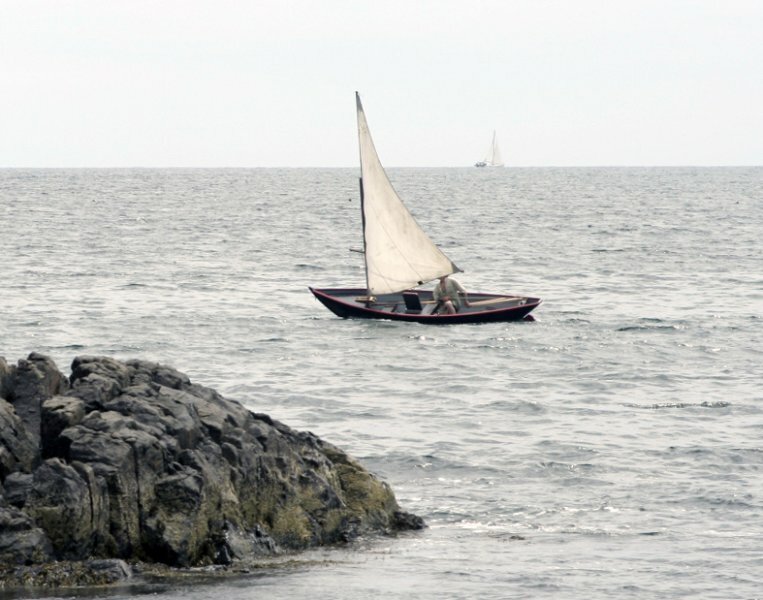 He salvaged the sail from a 25-year-old Bolger Gypsy design and the spars from small Sunfish style boat. Taking inspiration from John Gardner’s Chamberlain Gunning Dory, he built a drop-rudder.